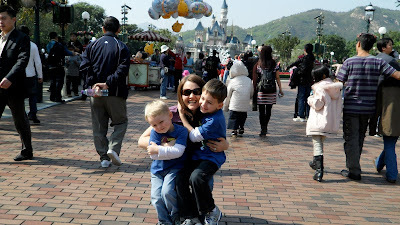 For my 33rd birthday, April planned a day at Hong Kong Disneyland. We had such a great time. Highlights include holding Luke on the jungle river cruise, Caleb's childlike wonder on the dumbo ride, and Josh being willing to brave Space Mountain with me. Not to mention, I recorded the entire 10 minute Christmas edition of It's a Small World on video. HK Disney may not be the largest place or have as many attractions, but it's definitely worth seeing. And yes for our local HK readers, we did get annual passes. At that price, why not? This is a glimpse into our family. 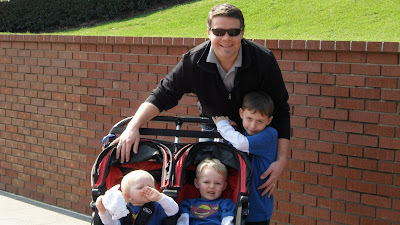 We have six children: Josh, Caleb, Luke, Anna Grace, Noelle and our beloved Noah who is now with the Father.